Jamie Harrison, CEO of the American Cricket Federation, means business. “What’s happening here now is a turning point, and nothing is going to be the same,” he told World in Sport. “For fifty years, the United States has failed to develop domestic cricket, at all levels, men’s, women’s and youth,” said the man in charge of bringing American cricket into prominence. “As a result, our international side, ignored and largely dependent on the occasional arrival of talent developed outside America, has slid to the bottom of the ICC Associate rankings, without hope of improvement. The American Cricket Federation is dedicated to the institution of good governance and the rebirth of cricket in the United States,” he declared. 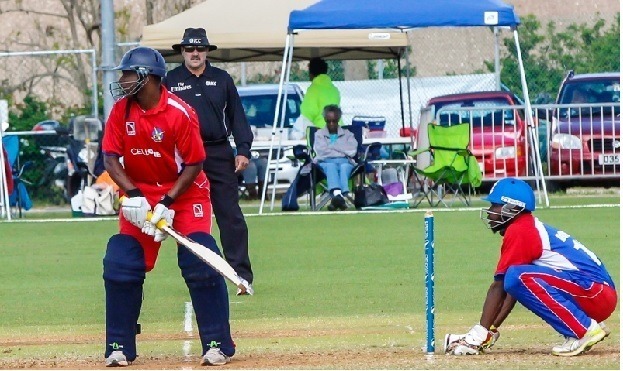 Harrison and increasing amounts of cricket stakeholders are calling for the ICC to abandon the currently sanctioned United States of America Cricket Association (USACA) and embrace ACF. Harrison looks forward to a landscape where the USACA is a thing of the past. “Overthrowing an entrenched regime, no matter how incompetent it may be, is ugly business. I anxiously look forward to the day when 100% of our attention can be given to promoting the game in America, but I am willing to endure the necessary conflict leading up to that day,” he said. ACF’s approach to the game is built from the ground up. “ACF has been aggressively promoting the game and developing the infrastructures that will allow the sport to thrive here. It’s gratifying to see that the media is starting to take notice,” Harrison said. Americans have more access to cricket than ever before. Cricket fans, foodies, and beer connoisseurs can unite at America’s first cricket-themed sports bar, Hit Wicket in Cambridge, Massachusetts, to watch the likes of Virat Kohli and Glenn Maxwell bludgeon ball after ball. It’s nearly impossible to get a table there for big matches, but Americans can still catch all the action on all of their devices. WatchESPN cites cricket as the most popular sport on its streaming service, and the ICC World T20 Final was shown live, nationally on ESPN2. Willow Cricket carries numerous series including the upcoming India vs. Bangladesh ODIs and is accessible via cable television and most other devices. Harrison thinks that the United States can compete as a minnow at the international level within three to five years after a lot of hard work. At the grassroots level, Harrison co-founded US Youth Cricket. In New York City, demand for grounds outweighs the supply. When it comes to the higher ranked international teams, Harrison is a supporter of Australia. Why? “Because they alone supported US Youth Cricket from the very beginning,” he said. The ACF’s biggest accomplishment to date is launching the American Cricket Champions League (ACCL), featuring 17 teams from sea to shining sea. Six geographically divided divisions play round robins of 40-overs matches. The tournament culminates in October when the six division winning teams advance to a playoff which will decide a national champion. Harrison supports the Washington Metro XI, because they represent his hometown. “Teams are traveling, stars are emerging, local fan bases are developing, and the game is being marketed nationally in a way it never has before,” Harrison explained. Watch out for Fawaad Sher (match winning 96 off 74 last week) and the 2-0 Arizona Cricket Association. They’ve scored 502 runs in their first two matches. The ACCL is only the beginning if Harrison gets his way. His vision is to see ACF develop into a full-fledged, domestic cricket ecosystem. “We’re going to develop each ACF league so they come to be like English counties, with a team playing in the 40-over league, and in a parallel T20 league, and a women’s league, and an U-19 league. Ultimately, we want to see four-day matches, too. We see this as critical to the development of the game here,” he shared. Will we see first class cricket at the Nichols Park Basin in Phoenix or Woodley in Los Angeles? The prospect is closer to reality than you think. “Cricket in America is right now where soccer was fifty years ago,” Harrison offered. In order to consider cricket in America a success, how many Yankees would need to trade in their fastballs and home runs for yorkers and sixers? “The USA is the wealthiest sports marketplace in the world, and already has the second largest concentration of cricket fans in the world. If we can get just an additional 5% of all Americans to adopt cricket, it would mark a seismic shift in the global game,” Harrison offered. Citing member fees, sponsorships, and the potential sale of event rights, Harrison sees plenty of potential revenue in the United States. “While we are already looking at the possibilities for getting our 40-over ACCL competition streaming online, we recognize that our future 20-over ACCL competition will be the more likely TV product,” he said. If the ICC is ready for a seismic impact on this gentlemen’s game, it’s time to take a look at the ACF.